Created on Sept. 25, 2012, 6:52 p.m. by Hevok & updated by Hevok on May 2, 2013, 5 p.m. It is often argued that aging is not adaptive as does it not occurs in the wild, but rather than being an artifact of protective environments such as those created by humans. As such it is claimed that there is no evolutionary pressure to develop aging systems. All this is a lie. 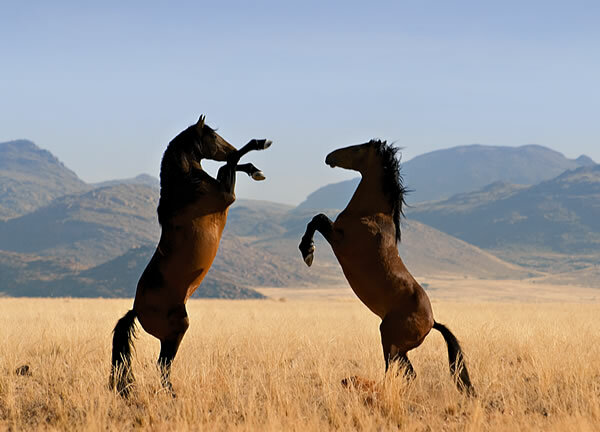 In fact, senescence is commonly detected in nature [http://thesocietypages.org/socimages/files/2011/08/wild-horses.jpg].